The final total for the McGill Centraide campaign has been tallied and the news is good. Better than ever, in fact. 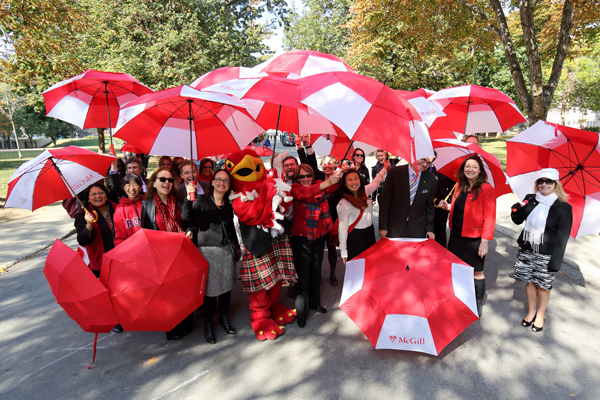 In the end, the generosity of the McGill community helped raise $468,000 for Centraide of Greater Montreal – marking the highest amount ever raised by McGill. Centraide raises millions of dollars every autumn to support 360 agencies in the greater Montreal area that provide help to individuals and families in poverty or who live their lives cut off from contact with others. These agencies have deep community roots and have demonstrated an ability to innovate and work with other partners as they focus on empowering individuals to overcome hardship. As part of McGill’s commitment to the Montreal community of which it is a part, the University has been a strong supporter of Centraide for the past 10 years and is one of the top workplace fundraisers. McGill’s annual campaign has raised hundreds of thousands of dollars each year to help people who are hungry, alone, in need of care or a helping hand to get back on their feet.